my hair is 2c/3a, fine, high density, and normal porosity. my curls don't really like to form with the only CG-safe product i have, which is sheamoisture's curl enhancing smoothie. whenever i scrunch it into soaking wet, clumped curls, it makes them fall apart, and i have a mess of some curly hairs and mostly frizz on my head. i'm just a teenage girl with a low budget, so i can't afford anything crazy, but i'd love for any cheap, CG-approved products that i could get at sally's or walmart. Your hair may not like the shea butter. Since you have fine hair, I would suggest a gel instead of something heavy like a cream or a butter. LA Looks Sports Gel (the blue kind) is CG friendly, cheap (really cheap!!) and easy to find just about anywhere in the US. Another gel I've heard good things about is Herbal Essences Totally Twisted gel. I don't have any recommendations, but since you are concerned about price, I just want to make sure that you know that if you don't like something you get from Sally's, you can take it back and get a refund. I don't know whether Walmart is like that. I would definitely suggest LA Looks Gel, the blue one, as well! 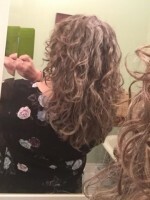 I have had terrible luck with Shea Moistures Curling Smoothie as well, it does nothing for me other than make my hair look dirty and greasy but I LOVE their shampoos and conditioners. One thing to make sure you do is clarify prior to starting CG since sulfate is required to eliminate silicones. Left over silicones can prevent your hair from getting the necessary moisture and can create buildup and limp curls. The la looks gell works great and is only a fre dollars at walmart, at least where I'm at. 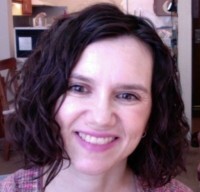 Also have you tried plopping or diffusing? This can help your curls dry and encourage good curl definition. Also looking into a few wavy haired you tubers could be beneficial as well! I'd suggest RockyCurls, the Polished Curl, CurlyPenny, and India Batson! They all show some great techniques that would be worth trying out and also they try out lots of different products at all different price points! I 22 and have been following the CG method for about 2 years now. It's definitely worth it but its a lot of trial an error. It helps to do research and find cult favorites that work with those who have hair types similar to yours! Just keep in mind, if it works for them, it still might not work for you. I have watched hundreds of YouTube videos and read as many articles on here as I could when i started, and i still do. Luckily, you can make CG as simple or complicated as you'd like and there's products in all price ranges so don't feel Discouraged by a low budget! Do research and try things out.